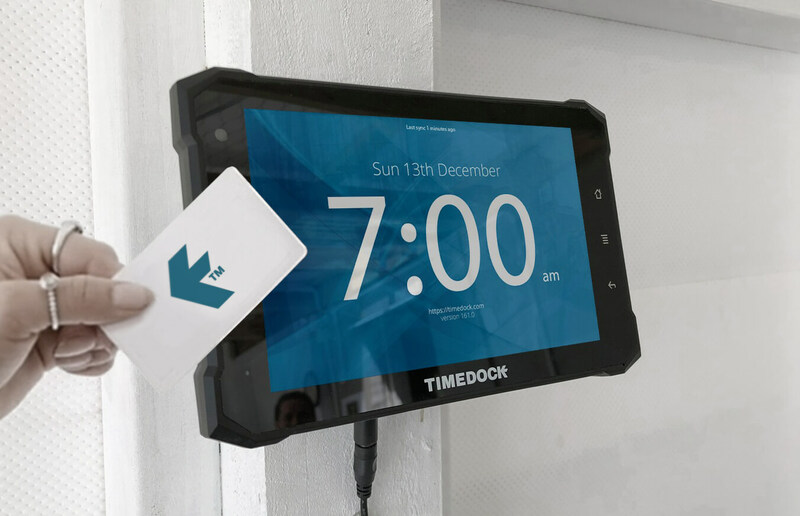 Upgrade your employee time clock, with TimeDock for iPad. 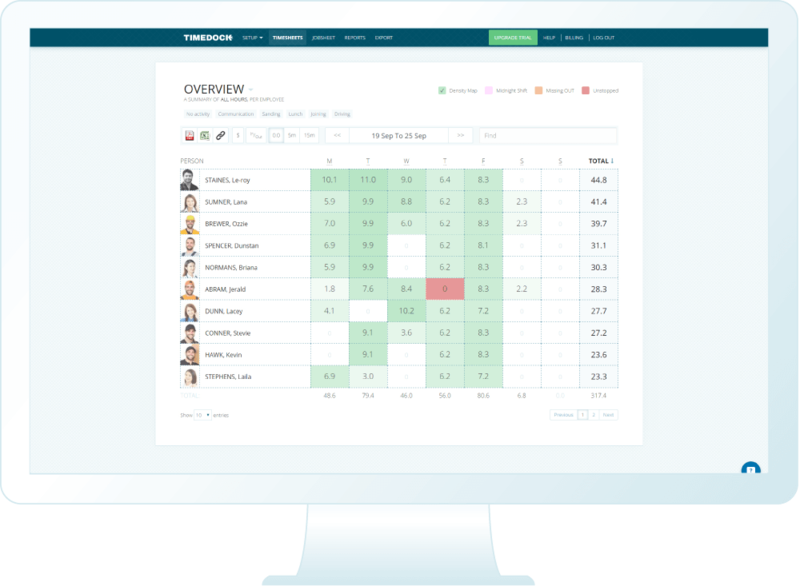 How much time could be better spent if you didn't have to key in yesterday's timesheets every day? Slash the time you spend processing job hours and access your time-sheets in real-time, from anywhere. 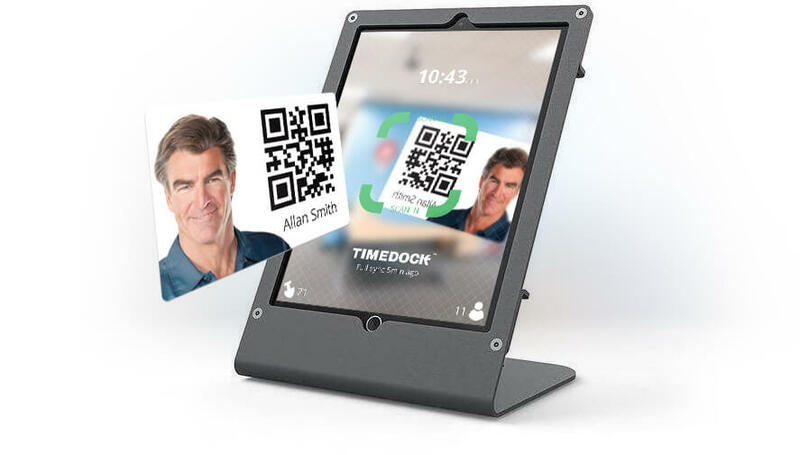 Employees scan in with barcode ID cards, which you can print yourself, at iPad, iPhone or Android devices pre-configured with our TimeDock employee time clock app. 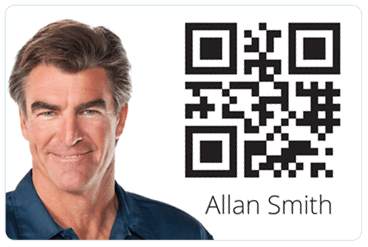 Your iPad's camera can scan QR-code ID cards in less than a second. Aren't iPads more expensive than regular time clocks? If you don't have a spare iPad handy, why not consider one of our purpose-built wall-mounted time clocks? Our proprietary time clock, TimeTablet™, is a very affordable and robust time and attendance option. It works alongside your other devices, such as iPad, connected to your TimeDock. 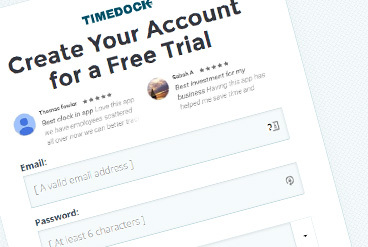 How do I sign up for TimeDock? We recommend getting in touch, to discuss your time and attendance situation and how our system could help you improve your time-sheet accuracy and productivity.